Two men have been arrested after the 15-year-old, who was last seen on Friday, told her parents she was going for a ­sleepover at her best friend’s house. But it is believed the popular youngster secretly met a man she had been in contact with on social media. It has emerged that her mobile phone was discovered by a dog walker in Sence Valley Forest Park in Ibstock, Leics, on Saturday afternoon.Her family, of Measham, Leics, said they “fear the worst” as she would never have willingly parted with her mobile. 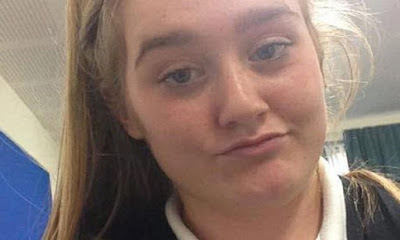 “Kayleigh had told her best friend about a man who had been messaging her on Facebook.“They were both going to meet this man on Friday evening, but earlier in the week Kayleigh announced she was no longer going to meet him”“Usually she would spend the weekend with her best friend and her family. But Kayleigh told the girl that she would be going to visit an auntie instead.” a source told Daily Mirror. In a statement, Kayleigh’s mum and dad, Martin Whitby, described her as a bubbly, loving, caring girl.